So I first posted about my Project Sample Use Up in August 2012 and since then I have managed to finish pretty much everything that was in the basket. Fast forward a few months and my sample stash has grown by quite a lot. 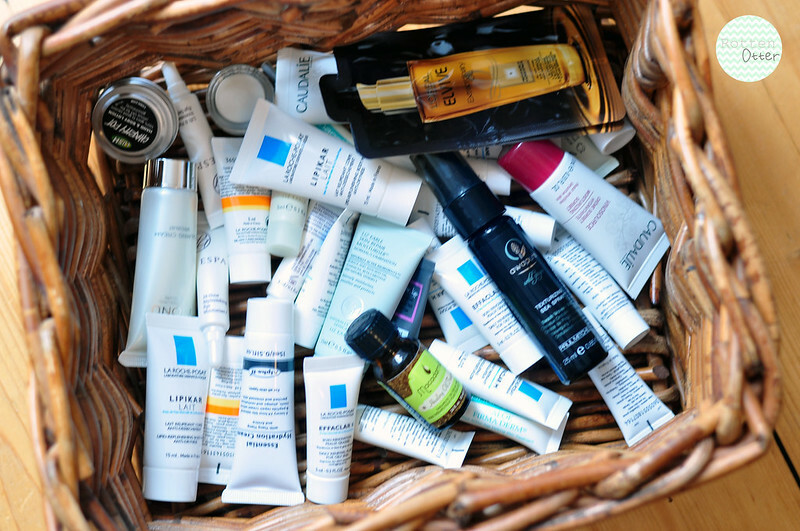 The majority of it is skin care, especially moisturisers which I find the hardest to use up quickly. I think what I'm going to do is have a proper sort through it all and give away any products that I know I'm not going to use. These usually end up going to my mum who is soon to have a skin care collection to rival mine! Then what I'm left with, I'll solely use until it's finished and I'll stop using my full size products for a little bit. hat's probably the only way I'll be able to finish everything. Give them to me! Or I'll buy them! I'll buy them off you!